In the period that Isaiah the prophet lived there was immense political upheaval across the ancient near-east. The people of God had a choice - to follow their own human policies or to follow the promises of God. They chose to be unfaithful. The prophet breaks in and calls them to repent asking them to stop violating the covenant. In today's setting this is a message that your hearers will identify with, readily identifying ourselves with the deceitful hearts of the people of Judah, and learn also from their mistakes how our own divided hearts may equally lead us astray. 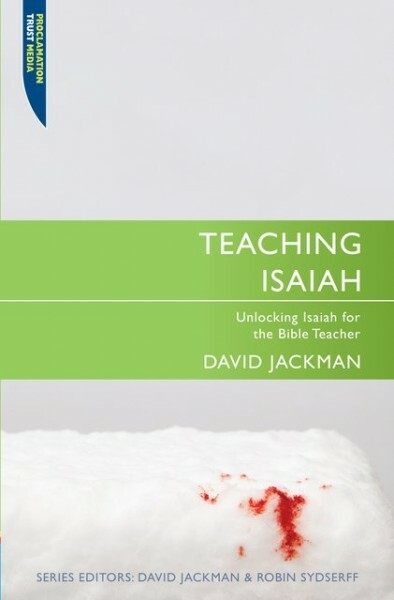 This is not another commentary but a useful resource, which will help the pastor/ preacher, a small group leader or a youth worker communicate a message of grace when speaking from the book of Isaiah. It will give you help in planning and executing a lesson in particular with background, structure, key points and application. David Jackman was the President of the Proclamation Trust & was the founder-Director of the Cornhill Training Course, London. Currently he teaches part-time on the Cornhill course as well as engaging a world wide ministry for Proclamation Trust. Proclamation Trust's aim is to effectively communicate the gospel, especially through preaching. Previously he was the minister of Above Bar Church, Southampton.